Million Dollar Listing New York is back in business. This week, Bravo announced season five of the reality series will premiere in April. The TV show follows New York real estate agents Fredrik Eklund, Luis D. Ortiz, and Ryan Serhant. Season five of Million Dollar Listing New York premieres on April 21st at 9 p.m. ET/PT. 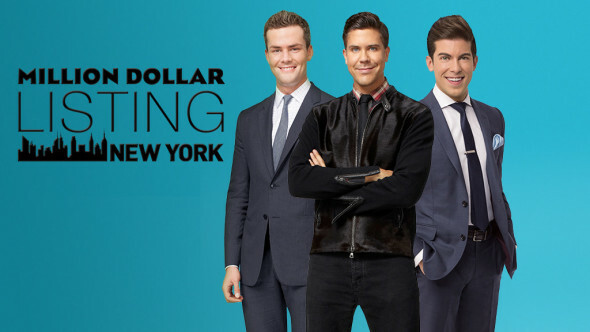 NEW YORK – March 17, 2016 -Bravo Media’s well-dressed and sharp-tongued kings of Manhattan real estate Fredrik Eklund, Luis D. Ortiz and Ryan Serhant are back on the market as season five of the Emmy-nominated “Million Dollar Listing New York” premieres on Thursday, April 21 at 9pm ET/PT with a special 90-minute episode. What do you think? Do you watch Million Dollar Listing New York? Will you watch season five? Who’s your favorite agent? More about: Bravo TV shows: canceled or renewed?, Million Dollar Listing New York, Million Dollar Listing New York: canceled or renewed?